Egyptian police arrested four students on Saturday for investigations after the release of a Youtube video that included mockery of Christian hymns and prayers. The four young men, which included a student from Al-Azhar University, posted a video on YouTube on January 31 mocking Christian religion rituals, according to an official statement by the Egyptian Interior Ministry. Security forces were later able to identify the location of the four individuals and arrest them in the area of Abu Hammad Governorate of Eastern Province. The students confessed to filming the video for comical reasons, and that they had no intention to insult the Christian religion. The idea of ​​the video was by one of the students, ‘Mustafa H.F.’, who got inspired by a satirical page on Facebook that posted comical comments on political, economic and religious issues. Al-Azhar University officials decided to transfer Al Azhar student “Mustafa H.F.” to a disciplinary board to take necessary action. According to the Ministry of Interior, there will be necessary legal actions taken regarding the incident, and that the four young men confirmed the removal of the video after sensing the escalation of the situation, and posted another video apologizing for their actions. This is not the first incident in Egypt which includes mockery and contempt of religion, as in 2016, an Egyptian court sentenced three Coptic students to five years in prison after they appeared in a video that allegedly insulted Islam and mocked Islamic prayer. 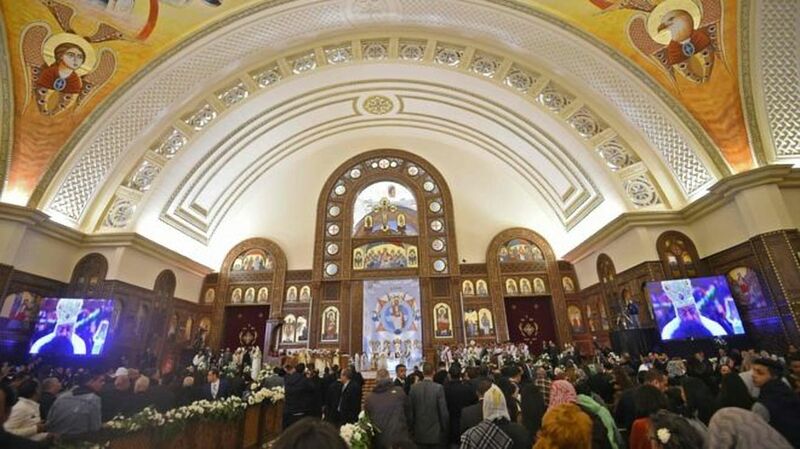 Sectarianism has increasingly become an alarming issue over the years, as Egypt witnessed several terrorist attacks against churches and mosques by Islamist terrorists, including the twin suicide bombings that took place at St. George’s Church in the northern Egyptian city of Tanta and Saint Mark’s Coptic Orthodox Cathedral in Alexandria and Al Rawda mosque in North Sinai in 2017. To tackle the issue of sectarianism, President Abdel Fattah El Sisi issued a decree in December 2018 to form a high committee to counter sectarian incidents. Coptic Orthodox Church spokesperson Boulis Halim said that the decree is an important step in spreading awareness of the problem.